I am grateful for the opportunity to serve as Fathers' Club President for 2018-2019. After serving for several years as the co-chair of Dads on Duty, I am excited to get involved in the larger school community as our daughter Lucy (Class of 2026) moves up to the Rosary Campus. This welcome message is not only about the upcoming academic year, it is an invitation to get involved! As a father you're already a member of the club, but there is much more you can do to help your daughter grow, have some fun, and add your own contributions to the Sacred Heart community. 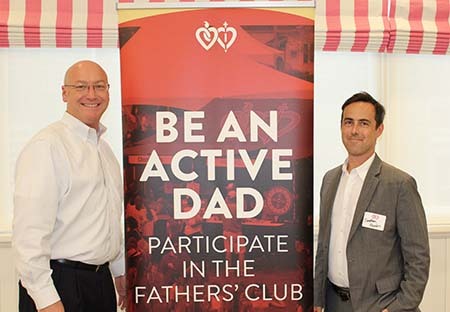 The Fathers’ Club organizes numerous events throughout the year to help support school activities, bring fathers and daughters together, and raise important funds for the school. Whether it’s coordinating an event like the annual Golf Tournament, cooking at the Crawfish Boil, volunteering at the Mardi Gras Concession Stand or welcoming the lower school at Dads on Duty, there is truly something for everyone. And everyone is truly needed. Through these activities we support Sacred Heart’s long traditions of excellence, community, faith and leadership. Just as important, we have fun doing it. You can learn more at the monthly Father's Club Meeting, held on the second Wednesday of each month in the Rosary Campus Dining Hall at 5:30pm. You’ll get important information, hear from guest speakers, and there’s always more than enough BBQ and cold drinks to go around! We all know how fast these years seem to fly by. Before we know it, we won't have the same opportunities for father/daughter moments like the Pancake Breakfast and the Middle School Dance. 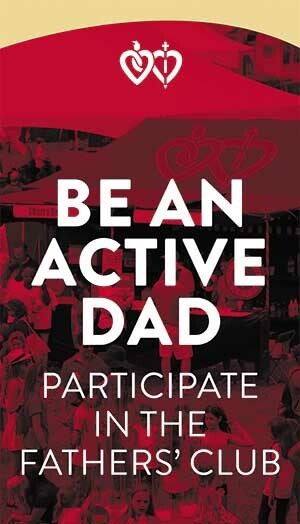 The Fathers' Club is an excellent way to make an important contribution to the school, and the most of your time with you daughter at Sacred Heart. I look forward to seeing you at our first meeting on September 12th! All the best to you and your family in the meantime.